How can you get a bigger refund? At M&M Income Tax Service we hear these questions every day, question like “How Can I Back More Tax Money?” or maybe “How do you get the Maximum Refund?”. Every tax client always wants know how to get those big refunds (i.e. the most back) like they hear about from their friends at work. It’s not magic. It’s a secret. And only experienced tax professionals, like the tax pros at M&M Tax, know the secret. It has to do with your individual tax situation. Now, here’s the secret to getting one of those BIG tax refunds. The secret to getting a BIG tax refund is children! That’s right claiming kids on your tax return! Now if you don’t have children, we certainly do not recommend going out and having a child just to get a bigger refund. But if you already have children here are some of the tax credits you may qualify for that will help you get a BIG refund, or a BIGGER refund or the BIGGEST refund. Child Tax Credit is a tax credit for families who have children under the age of 17. Typically, the credit is $1,000 per child under age 17 and the child must reside in the United States. The CTC can be refundable (i.e. Additional Child Tax Credit) as well. Most people who qualify for EIC also qualify for the CTC so you can start to see how a big refund can get even bigger. American Opportunity Credit is a tax credit for families who have a child in one of their first four-years of college (i.e. higher education). The AOTC is a $2,500 credit based on qualified tuition and fees paid by you or paid on your child’s behalf by a student loan. Up to $1,000 of the AOTC can be refundable, so now you can start to see how a bigger refund can become the biggest. 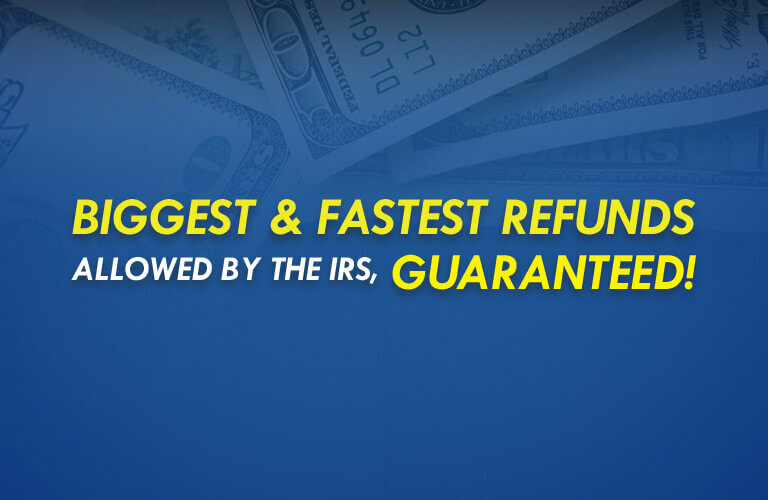 Now that you understand how to get a big refund, beginning in January, you can get an instant tax refund advance up to $6,000 at M&M Tax Service. Yes that’s right; tax refund loans are available this year! With the IRS announcing they will be holding tax refunds of early tax return filers who have children until February 15th or later, you may need this money now. Many times we see people that count on their early season tax refund check to catch them up on their bills after the holidays. Learn more about our Easy Advance*.